(Singh 2010). In India, several horticultural development initiatives are being taken up through the National Horticulture Mission (NHM) through the State Department of Horticulture and Plantation Crops. Different States in India are showing different level of productivity in respect of fruits and mango in particular. This has created a gloomy picture. Though NHM has initiated its efforts to develop the horticulture sector through the area expansion programs, existing level of production and productivity of fruits particularly the Mango is yet to be documented clearly at National and State level and the data found to be dismal in this regard. A sound data and its analysis is required. This report is official from Government Wikipedia. 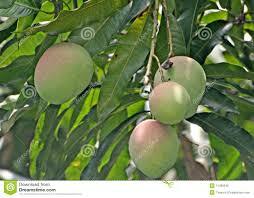 As I belong to mango fruit belt in Distt.-Bulandshahr, U.P. there is no awareness of any such program from NHM. I will personally meet the official from NHM to find this information. My tube well transformer was faulted one year before. I have informed the UPPCL complaint department but nothing is done till now. The chuck road is not in condition for any kind of transport. No one provide any kind of pesticide information. Most of the people do not know where is the NHM office is situated. Mango covers an area of 4946 thousand hectare with a production of 37.12 million tons in the world during the year of 2010. India occupies top position among mango growing countries of the world and produces 40.50% of the total world mango production. China and Thailand stood at second and third position among mango producing countries in the world with 4,366 and 2,551 thousand tons respectively. The other major mango producing countries in the world during 2010 were Thailand (2550 thousand tons), Pakistan (1784 thousand tonnes), Mexico (1633 thousand tonnes) and Indonesia (1314 thousand tonnes) respectively. 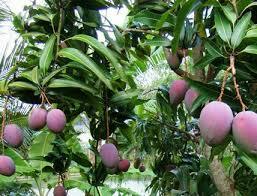 Mango is grown almost in all the states of India. Uttar Pradesh tops the list of mango producing states. Other major producing states are Andhra Pradesh, Maharashtra, Karnataka, Bihar and Gujarat. Rest of the states has quite less production. Uttar Pradesh is the leading mango producing state with production of 3,621.22 thousand tons followed by Andhra Pradesh state which has production of 3,360.40 thousand tons. Karnataka 1,778.75 thousand tonnes followed by Bihar and Gujarat 1,334.87 and 911.30 thousand tons respectively. The most horrible observation is SIYANA was declared fruit belt few decades ago and its name is not even in the list of government agency site. The farmers of this tehsil of district Bulandshahr are totally ignored by every government. They do not have the proper facility that a fruit belt must have. No main highway, Rail, Pollution, Electricity, Marketing and protection from natural calamity have been provided to this town. While a much smaller place like Kithaur is mentioned in the list just because it situated on the main Garh and Meerut road highway. Another reason could be it’s a Muslim area and there are some very influential Muslim leaders always present in some party. It is famous for its nurseries also. If you will pass it you can see some beautiful farm houses that provide VIP all kind of facilities. Saharanpur – Badshah Bagh, Raipur, Muzaffarabad, Kalsia, Behat, Chilkana, Rampur, Sarsawa, Pilkhani, Bhayla, Deoband, Gangoh, Lukhnauti, Nanauta. Muzaffarnagar – Chausera, Titron, Jalalabad, Bidauli, Shahpur, Banal, Sisanli, Khatauli, Janesh, Mimpur, Kandala. India is the major producer of mango among the countries in the world. Though the area under mango is increasing, the productivity is declining in India over the years. A study was undertaken using the secondary data drawn from both State and Central Government sources in respect of area, production and productivity and export of mango. India found to be the major producer and exporter of mango to the developing and the developed world. Tamil Nadu in India found to be the leader in fruit production followed by Maharashtra. In respect of productivity of fruits, Himachal Pradesh and Tamil Nadu are the front runners followed by Madhya Pradesh. When we compare the fruit production over the years, it is interesting to note that higher area under fruits have produced very meagre increase in fruit production due to low productivity. Percentage reduction in fruit productivity in a decade of time is found to be 2.68 per cent and the mango productivity is 3.19 per cent. In respect of productivity of mango, 2012-13 had witnessed highest production of mango. Percentage increase in production of mango is accounted to be 36.22 per cent in a decade of time. To confirm the decrease in productivity, a case farm in Theni District of Tamil Nadu was personally assessed for its production and productivity of mango revealed that the Case farm is able to generate 558 per cent higher productivity than the state average and 216 per cent higher productivity than the national average productivity. In this paper, efforts have also been taken to document the export status of mango to different countries, processing units in operation with Tamil Nadu and the Cold Storage facility available for keeping the farm grown produce especially the fruits and their capacity utilization are also addressed with respect to India and Tamil Nadu in particular.